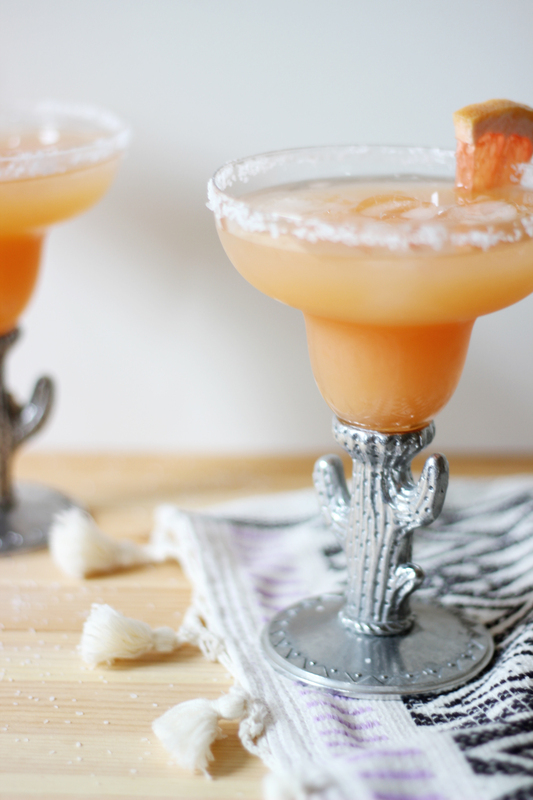 Incase you were hiding under a rock, it’s Cinco de Mayo tomorrow, loves! Mexican food is up there with our all time favorite foods, so we are ALWAYS down for a Mexican meal accompanied by a Mexican beer or cocktail of some sort. 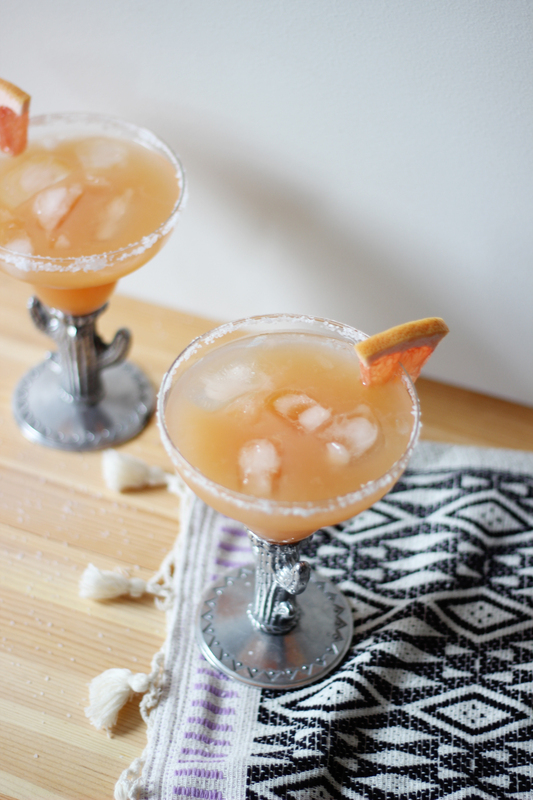 Our drink of choice this year is the Salty Chihuahua – Eating Well‘s Mexican inspired take on a Salty Dog. And before we get to the recipe, can we talk about these glasses for a moment?? 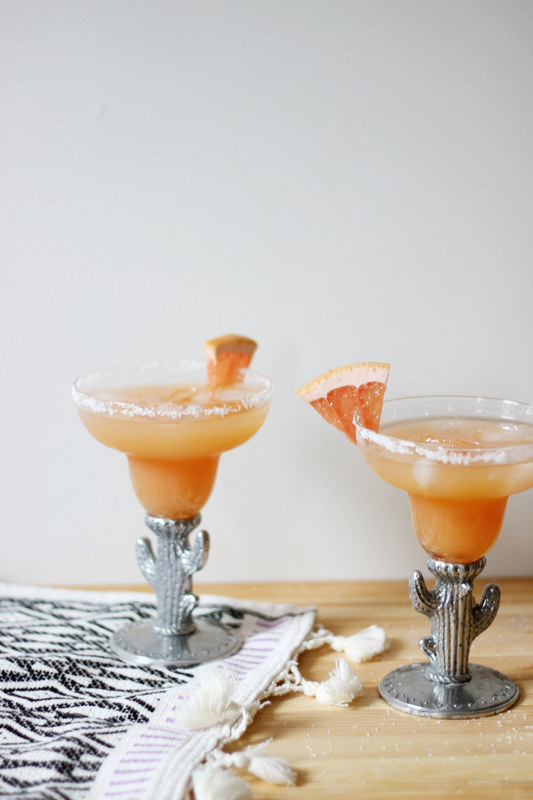 The inspiration for this post mostly came from the cactus glasses to be honest, ha! They were Christa’s parents when they lived in California and she inherited them this past year and has been waiting patiently to use them! Wet the rims of your glasses and coat with coarse salt. Fill the glasses with ice. 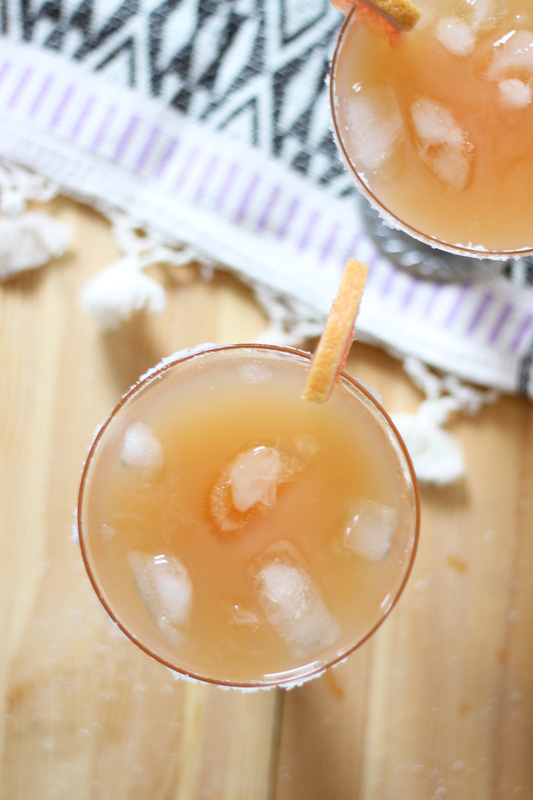 Pour 1 ounce tequila and 1/2 ounce orange liqueur into each. 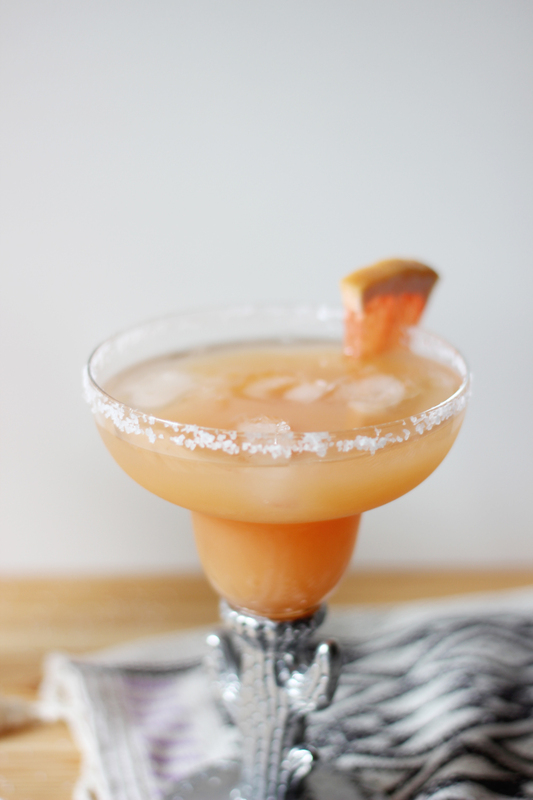 Top off each glass with grapefruit juice and stir. Garnish with a slice of grapefruit. Hola! Hope you all had fantastico weekends! 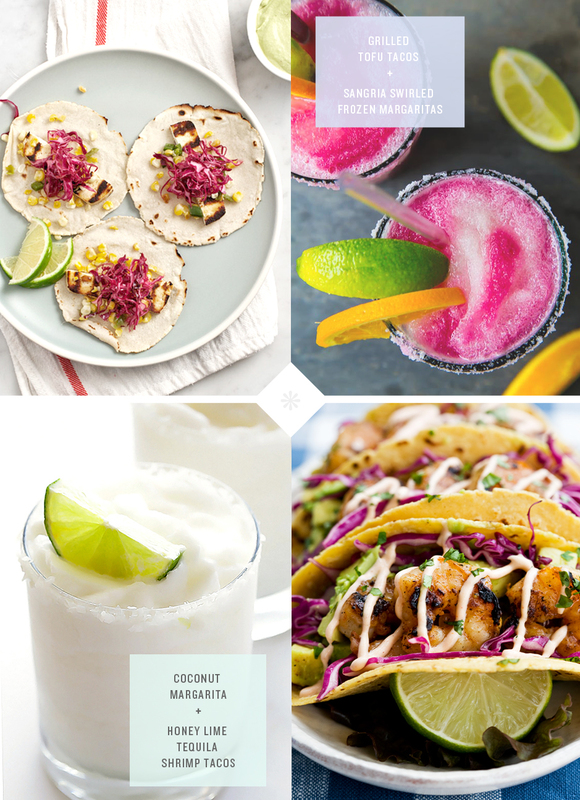 So if you’re anything like me, you’re currently planning last minute ways to celebrate Cinco de Mayo at home (because you forgot about it). Since I won’t be throwing a party or anything wild like that, I decided to look up some quick dishes to throw together while my roommates and I watch some more Gossip Girl (our Roku is a very dangerous device). Pour all ingredients (except for garnish) into a shaker over ice. Shake well. Dampen glass rim and spin in a plate of sugar or salt. 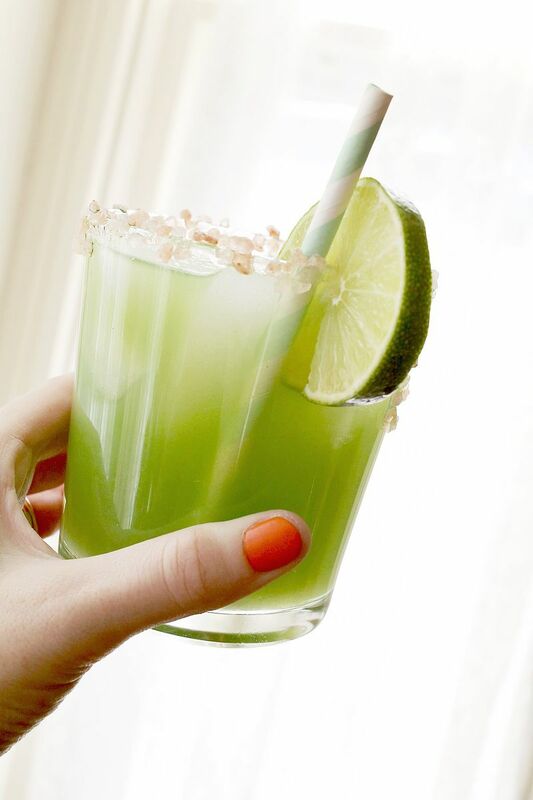 Add lime wedge and enjoy! Marinate chicken in olive oil and fajita seasoning for at least ten minutes. Cook on medium-low skillet for about 5 minutes on each side, until the thickest part has no pink. Set chicken aside. While it cools, prep your veggies. Once chicken has cooled, shred it with your hands or two forks and set aside again. Heat skillet on low and spray (or drizzle lightly) with oil. Place one tortilla down on skillet. 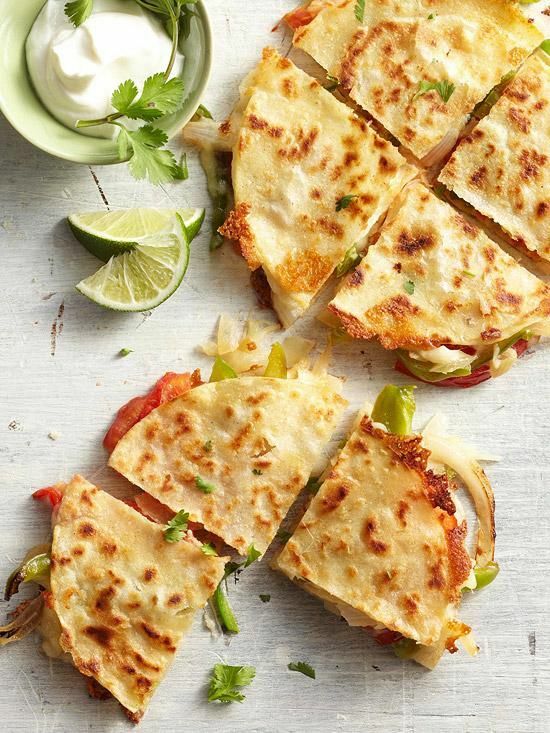 Fill with cheese, veggies, and chicken. Place second tortilla on top while it heats (or, if using one large tortilla, fold in half). Once bottom side browns, flip to other side. Once cooked, allow to slightly cool, then cut and serve with choice of sides. In a shallow bowl, mix cereal and cinnamon. With an ice-cream scooper, scoop your froyo and place in the cereal mix. Roll in the mix, and pack the ball firmly (easiest if wearing rubber gloves). 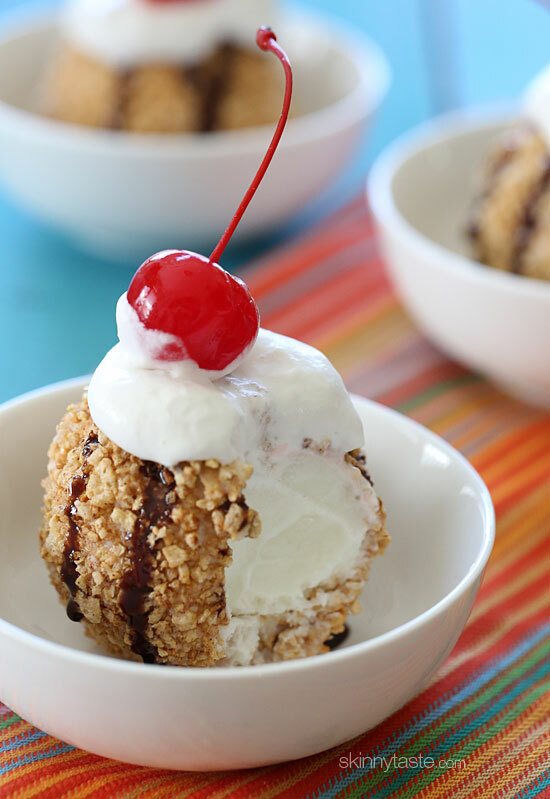 Place in a serving bowl, drizzle with syrup and garnish with whipped cream and cherry. Then eat up! Now get out there and enjoy your fifth of May!